The Badminton World Federation’s member associations can enhance their skills – administration, event management, player development and coaching included – thanks to BWF’s new partnership with the World Academy of Sport. 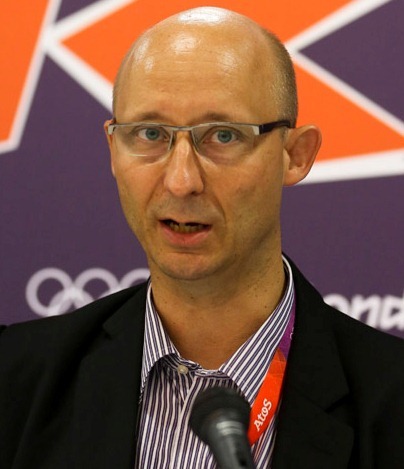 Announcing the recently-signed agreement, BWF Secretary General Thomas Lund explained that “as an expanding International Federation, the BWF has a responsibility to help its membership develop expertise in key areas”. In conjunction with the World Academy of Sport, BWF will offer a greater range of development programmes to improve the skills of persons who work within continental confederations and member associations, thereby “strengthening the badminton family worldwide”. The World Academy of Sport (WAoS) has worked for many years with several international sport federations to develop and implement industry-leading education programmes specific to their respective needs. “We are well on our way to achieving our strategic objectives under our current strategic plan. In the development area we have made great strides in recent years through the implementation of Shuttle Time and it is now appropriate that we extend such programme resources,” added Lund (pictured right). Over the past several years BWF has looked to establish programmes in key areas to aid the development of the sport throughout the world, particularly in countries where Badminton is a developing sport. This has seen the implementation of “Shuttle Time” as a grassroots-level programme to increase the number of schools teaching badminton in their sport programmes as well as coaching programmes. The partnership allows new programmes to be developed and rolled out throughout 2014 and 2015 based on the needs of the BWF membership. These programmes shall provide further structure and resources to nations and continents as they address practical topics to allow growth of badminton at the local and national level. “It is exciting to extend our sport partnerships with badminton as there is a dynamic and focussed team for us to work with at BWF. This is an important factor in our partnerships as sport is fundamentally reliant on the quality of the people involved be they athletes, coaches, administrators, volunteers and the many others that make sport happen. We aim to help achieve the various relevant strategic objectives of the BWF through this partnership and help enhance the quality of individuals throughout the BWF family with engaging and practical programmes,” said World Academy of Sport Director, Chris Solly. The BWF’s continental confederations shall undertake the first workshop during the world-governing body’s General Assembly in New Delhi, India, in May. Other programmes will become available later in 2014 as both online and workshop-based education pathways for national associations.